So this is a fun one! Have you heard about the Bulletproof Coffee craze? Basically coffee with butter and coconut oil or MCT oil added to it for an extra boost of mental energy and clarity. 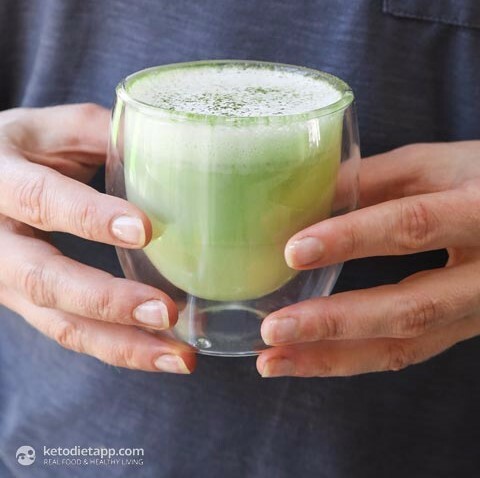 Many folks swear by it as the best way to start your day...but of course there is one way to make it better...use matcha! This recipe leaves out the butter (just too weird, you know?) but does include the MCT oil that's supposed to be responsible for the extra brain boost.